Moses Davis, better known by his stage moniker Beenie Man was born in the tough Waterhouse district of Kingston, Jamaica on August 22, 1973. He is noted as one of Jamaica’s most innovative artist, whose recording career dates back to 1981. At the age of eight, he took first prize at the national Tastee Talent contest. Talent competitions would lead to TV/radio appearances and recording contracts. His career gained momentum after a performance at the Reggae Sunsplash festival in 1992, and a rivalry with Bounty Killer began the following year after Beenie Man was accused of stealing Bounty Killer’s style and catch phrases. The rivalry was captured on the 1994 album Guns Out, with the two artists settling the feud with a sound clash. 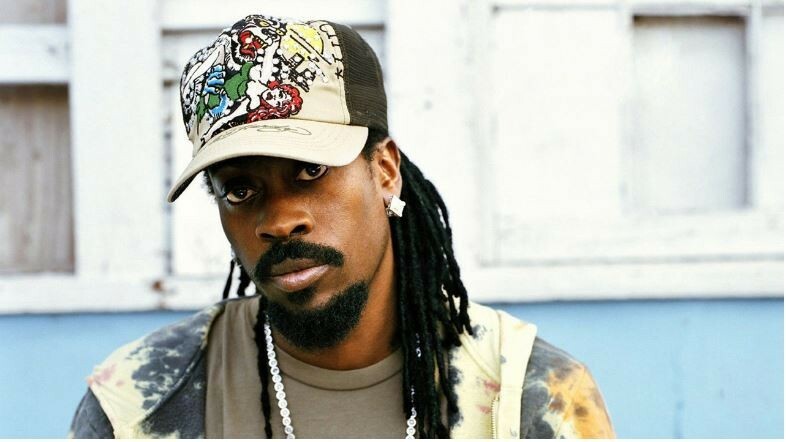 The year 1995 found Beenie Man working with Jamaica’s top producers, he recorded a slew of singles and did numerous collaborations with the likes of Dennis Brown, Tristan Palmer, Lady Saw, Sanchez, Mad Cobra and Lieutenant Stitchie. Beenie Man’s career took yet another step in 1996 when he released his seventh studio album Maestro, produced by Patrick Roberts. Maestro peaked at number 3 on the U.S Billboard Top Reggae Albums chart. The following year proved to be his break out year in both Britain and the United Stateswhen his and Chevelle Franklin’s “Dance Hall Queen” bounced up the British charts while its follow-up, “Who Am I”, was the birth of his first international hit. “Who Am I” quickly went Gold and peaked at number 15 on the Billboard’s R&B chart in 1998. It opened the doors for the world to see a new reggae star in the pages of Newsweek and other major media outlets. The same year, Beenie Man topped the Jamaican singles chart with seven different singles. The autobiographical Many Moods of Moses album features a number of these smashes, including “Oysters & Conch” and “Foundation.” The album peaked at number 1 on the Billboard 200 Top Reggae Albums chart. Beenie Man could now do no wrong. From the mid to late 1990s, Beenie Man dominated the Jamaican charts. Beenie Man appeared as himself in the 1997 film Dancehall Queen. In 1998 Beenie Man headlined Reggae Sunsplash, the most prominent reggae music festival in Jamaica at the time. That same year he was signed to Virgin Records by the label’s A&R, Patrick Moxy, on the strength of the Billboard charting single “Who Am I”. Under that deal, he released the albums Art & Life which included guests Arturo Sandoval and Wyclef Jean, Tropical Storm, Back To Basics, and Undisputed. The hit singles just kept on coming, and coming, and coming! Beenie was unstoppable, whether on his own or with other artists. His subsequent Billboard R&B-charting titles include “Tell Me” (with Angie Martinez), “Love Me Now” featuring Wyclef Jean, “I’m Serious” featuring rapper TI, “Fresh From Yard” featuring Lil Kim, “Girls Dem Sugar” featuring R&B singer Mya, “Feel it Boy” featuring Janet Jackson, “Dude” with Ms Thing, “King Of The Dancehall”, “Hmm Hmm”, “Compton” with Guerilla Black and “Soul On Fire” with soca artiste KMC. Beenie Man received an impressive number of international music awards including a MOBO Award for Best International Reggae Act in 1998, while remaining at the top of the local charts. In 2000, he received his first Grammy award for Best Reggae Album. In the same year he co-produced (with Wyclef Jean) the debut album by actor Steven Seagal. Beenie Man’s hit-collecting compilation From Kingston to King of the Dancehall was released in early 2005. In 2007 he was a judge for the 6th annual Independent Music Awards to support independent artists’ careers. In 2010, Beenie Man released the EP I’m Drinking/Rum & Red Bull,which included four songs, “I’m drinking Rum and Red Bull”, “I’m Okay”, and two versions of “Stack and Pile”. “I’m Drinking Rum and Red Bull” features Future Fambo.